The bicycle loan is a loan in the form of a personal loan with which you can finance the purchase of an (electric) bicycle and bicycle equipment. Buying a bicycle with the necessary equipment is often felt in the wallet. The bicycle loan helps to spread this expense over several months. They do well to compare loans, but how can you find the cheapest bicycle loan now? Bicycle loan: Which expenditure can be financed? Usually the bicycle loan is used to buy a new bicycle, but this can depend on the lender to the lender. For example, it is possible to borrow up to 110% of the amount at so that you can also immediately finance additional bicycle equipment (helmet, cycling clothing, extra battery, extra lighting, …) and any bicycle insurance. The bicycle loan is most interesting in the form of an installment loan. Many major banks such as KBC and BNP already offer specific bicycle loans with attractive interest rates. At certain speedpedelecs and electric bikes fall under the conditions of a car loan . This allows you to borrow even cheaper money to buy a bicycle. You can also contact any lender to make an installment loan without a specific purpose. The interest rate will then be higher because no specific responsible purchase has to be proven. Yet it should be clear that there are many opportunities to finance the purchase of an electric bicycle. It is therefore certainly advisable to compare loans. 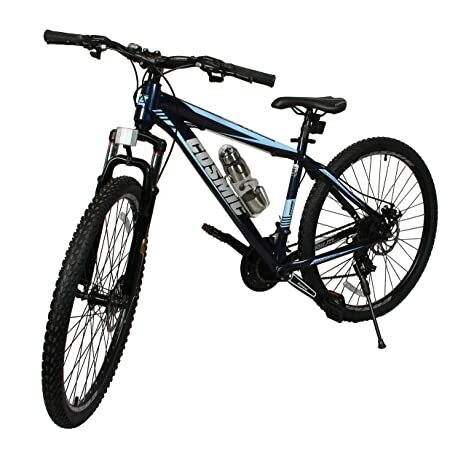 You can also compare bicycle loans on this page. Electric bikes are on the rise. Almost half of the bicycles sold are now electric. This can range from electric folding bicycles to electric mountain bikes. The supply has also grown rapidly in the short term. The increasing popularity of electric bikes can easily be explained by the many advantages that come with it. Not only can one borrow cheaply to buy a bicycle, an electric bicycle is also much cheaper than a car. In addition, traffic jams are also avoided. Charging an electric bicycle is also cheap and can be done simply by inserting a plug. The actual cost price depends on the tension and load capacity of the bicycle, but will only cost a few euro cents per recharge. Furthermore, there are few obligations with regular electric bikes. For a speedpedelec it is In certain cases required to register with the Vehicle Registration Department and the bicycle must be provided with a license plate. Insurance can then also be compulsory, but no traffic tax is paid. If you travel by bike to work, you may qualify for a tax-free bicycle allowance of 0.23 euros per kilometer. There are also financially interesting opportunities for businesses to buy a bicycle. Individuals should better not forget that certain municipalities also grant subsidies or premiums for the purchase of an electric bicycle. Comparing bicycle loans is important. Not only to find the most interesting rate of a bicycle loan, but also to check whether the purchase of a new bicycle falls under the terms of the loan. That can be different per lender. Minimum and maximum amount to be borrowed : Each lender offers loans according to their own conditions. This may cause differences. If you want to borrow from , the maximum amount of a bicycle loan is 6,000 euros. At KBC, however, one can borrow up to an amount of 50,000 euros. Supported income and assessment blacklist : Before allowing a bicycle loan, the lender will want to receive proof of income. In addition, one is obliged to consult for each loan application to ensure that the loan can be repaid and / or that you do not borrow too much according to your capacities. Maximum duration : The longer you borrow, the more expensive a loan usually becomes. The APR can also vary if the term of the loan becomes shorter or longer. Simulating bicycle loans on the website of a lender can provide useful insights. Cost of the loan : Financial institutions are obliged to mention the APR (annual percentage percentage). This percentage includes not only the interest cost but also all additional costs associated with the loan. In other words, be sure to compare the APR when you are looking for a bicycle loan.